Exactly one month ago the new headmaster of Hoërskool Waterkloof arrived on the first day of school by jumping out of an airplane with a parachute! 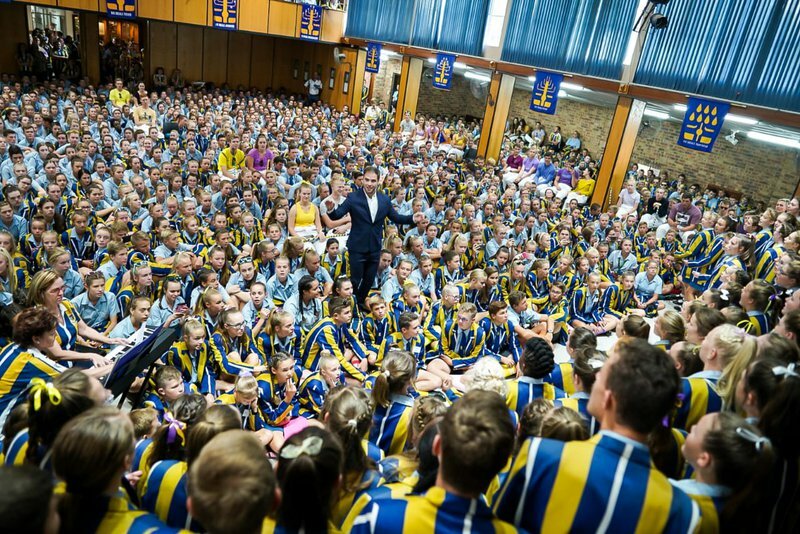 The entire Pretoria was in awe of the new headmaster teaching the children that anything is possible. However, a month later, the learners showed Breakfast with Martin Bester how their school rocks!! Hoërskool Waterkloof showed the team why they believe they are the best by an incredible performance by the school orchestra and a special surprise by Jonathan from Radio Raps! Klofies also donated R65 000 to the Hoërskool Driehoek on an emotional morning. Do you think Hoërskool Waterkloof will be the school that rocks?